Vivi, the wireless screen mirroring solution designed for the classroom, today announced its entry into the U.S. edtech market, after years of use in Australian schools. Designed with the collaboration of educators, Vivi’s classroom management solution system lets teachers roam the classroom and interact with students. In addition to its core functionality of screen mirroring and video streaming, Vivi brings other educational features under the control of a single app and institutional management through an admin portal. Vivi is compatible with all devices and operating systems. The Vivi app gives teachers control when students are allowed to share their screens, and enables students to capture what’s presented on the screen, and annotate using built-in tools. Teachers can also play videos from the Vivi Receiver so that the video streams directly from the hard-wired internet. Vivi’s analytics and reporting dashboard deliver information on teacher and student participation and engagement across the school. The system also powers school-wide communication with digital signage and emergency broadcasting. 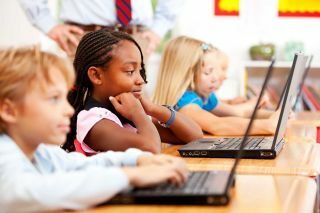 In a dangerous situation, teachers are able to instantly communicate the need for a lockdown, evacuation, or other safety measures across all screens and devices with active Vivi connections. To request a demo, visit Vivi.io.